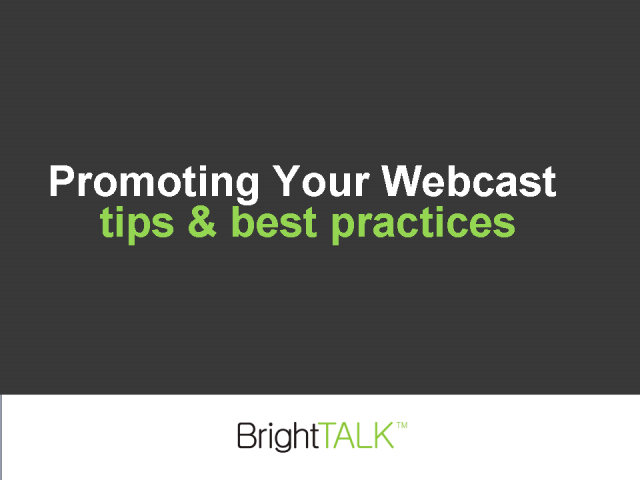 This webcast will cover the best practices of attracting an audience to your webcast event. This webcast is ideal for marketing and sales executives who organize, participate in or are thinking about business to business webcasts. David Pitta is the webcast evangelist for BrightTALK. Mark J. Feldman is director of Product Management for NetProspex.